Bodzash Photography and Astronomy: Nikon D810 vs. D800E vs. D800: Is the New Camera Worth Your Money? Nikon D810 vs. D800E vs. D800: Is the New Camera Worth Your Money? 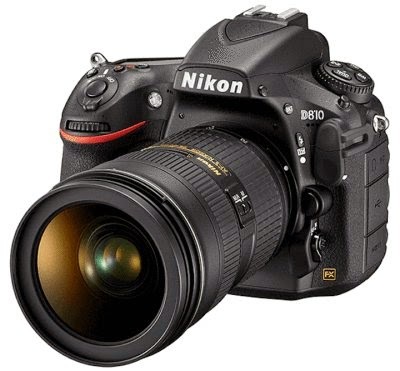 Nikon has just unveiled its D810, which has been designated by its manufacturer as a replacement model for both the D800 and D800E, both of which was announced in early 2012. The headline upgrade: no low-pass filter, whose effect was 'canceled' with the D800E. Other upgrades include an Expeed 4 (vs. 3) processor, a new mirror mechanism, and several upgrades to the video mode. Now the big question: is the D810, set for a $3300 introductory price, worth the money? Looking at the specifications for the cameras side-by side, there are very few differences between the old D800/D800E models and the D810. As for the differences, they are as follows. First up: the D810 has no low-pass filter. The effect of this filter, which can reduce the effective resolution of the camera by softening the image, was present in the D800 and canceled out with the D800E. In the D810, the filter is gone, which Nikon promises as a way to deliver sharper, more detailed images. Next difference: a new processor, whose only quantitative advantage is a faster frame rate of 5 vs. 4fps. Moving deeper down the spec sheet, the D810 has 6 (vs. 5) custom white balance settings, an expanded ISO rating (32 vs. 100 on t he low side and 51,200 vs. 25,600 on the high), a higher video frame rate (60 vs. 30fps), a stereo microphone, and the ability to stream uncompressed HDMI output while simultaneously writing to the memory card. So, with so few upgrades, why buy a D810? Short answer: price. When the D810 hits stores in July, it will cost $3300, which is the same as the D800E and just $300 more than the D800. Yes, the D810 does not offer a lot of improvements over the D800/D800E but, thanks to its price point, why not get one if you want one as it doesn't cost anything more than the camera it replaces? Hint: preorder yours now before the 'line' gets too long!